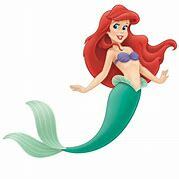 Join the mermaid Ariel and her friends under the sea for the fun family musical version of the beloved Disney film. See Sebastian, Scuttle, handsome Prince Eric, & the evil sea witch, Ursula, live on stage! Favorite songs from the film include: “Under the Sea,” “Kiss the Girl” and “Part of Your World.” Enjoy the luncheon buffet at the Beef & Boards prior to the show.